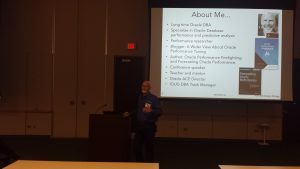 Chicago Oracle Users Group Meeting September 26th 2017 - Recap - "Hey Alfredo..."
Our Chicago Oracle Users Group meeting on September 26th marked our fourth meeting of 2017. We had two Oracle ACEs and one Oracle ACE Director. 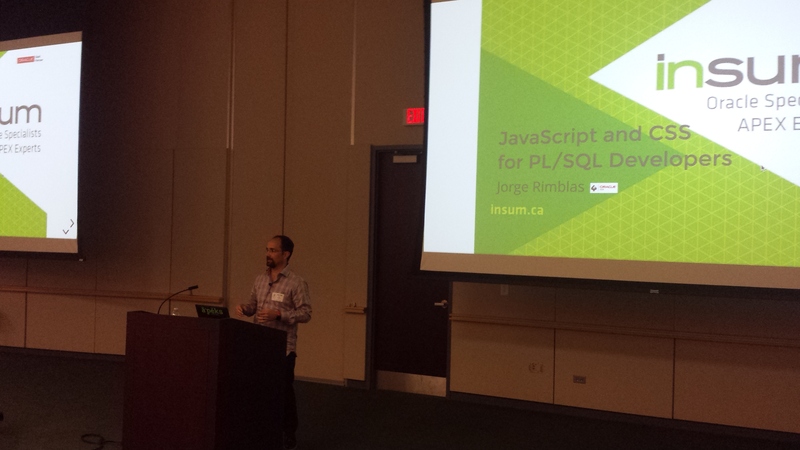 Thank you Craig Shallahamer, Francis Mignault, and Jorge Rimblas for bringing us five outstanding presentations! We held the meeting at my old employer, The Pampered Chef, which is located in the suburb city of Addison. Pampered Chef’s auditorium is an awesome meeting space! The same location was used in for one of our 2016 meetings as well (recap here). The meeting had five presentations, lunch, raffles, and a whole lot of networking! To get our meeting started, Francis presented on APEX Administration. There was a lot of interest by both the Developers and DBAs on this topic as a lot of questions were being asked by both. Later on we raffled off his book, Oracle Application Express Administration For DBAs and Developers. After a quick break, Craig began his first of two presentations with How To Choose Your Best Oracle Cloud Performance Analysis Strategy. Folks were really engaged in this one as Craig explained such concepts as Oracle Time Based Analysis (OTBA). Finally, we finished up our day with Craig’s presentation on Navigating Your DBA Career In The Oracle Cloud. A very timely topic with everything Cloud going on these days and DBAs wondering what their future might hold. Breakfast and lunch were sponsored by Insum. 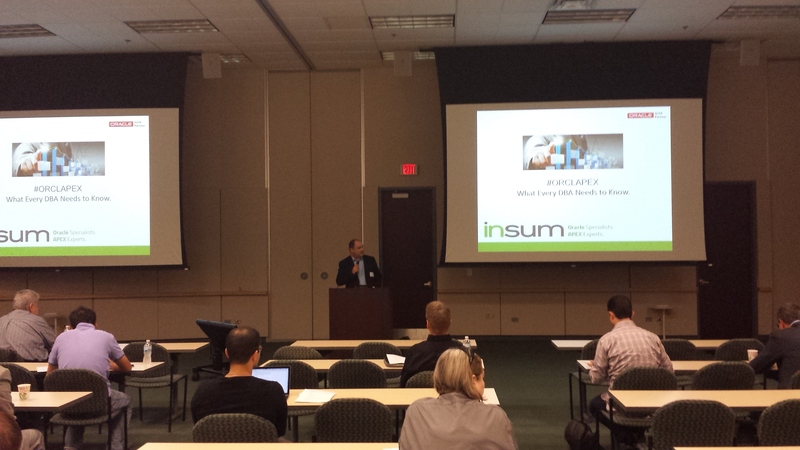 Thank you Insum! In addition to Francis’s book we raffled off a copy of Jim Czuprynski’s book, Oracle Database Upgrade, Migration & Transformation Tips & Techniques compliments of Oracle Press. Oracle APEX stickers were sent to us by @SpaceBloomp who answered my request for stickers on Twitter. Thanks again! All presentations are available for download on the COUG Web Site in our member’s section. Finally, if you haven’t already, make sure to sign up as a COUG member (free!). This will allow you to not only receive our emails about future meetings but also download past presentations.